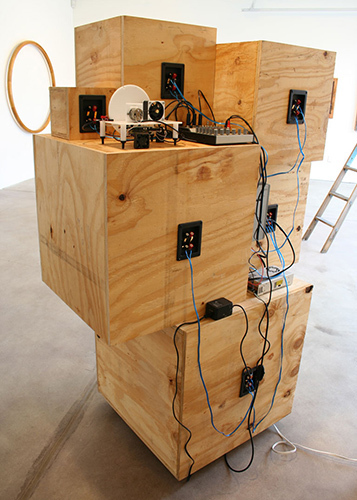 A mobile contraption that amplifies three distinct sounds produced by a small electromechanical device that it carries. 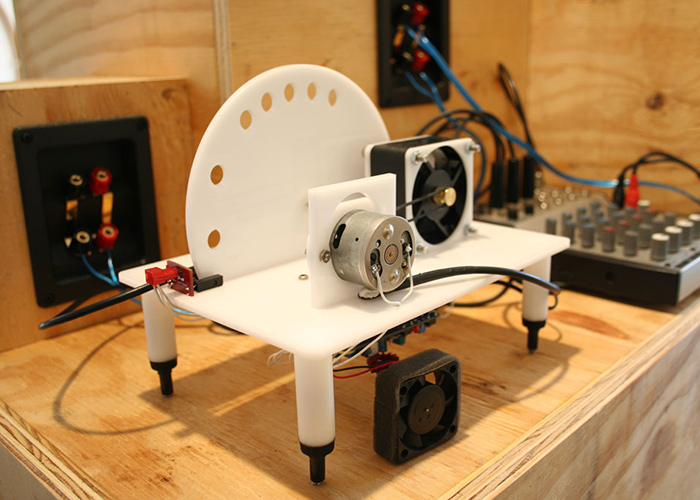 Microphones capture the vibrations of a DC motor and a stepper motor, combined with the sound of wind that is alternately produced and obstructed by the machine. 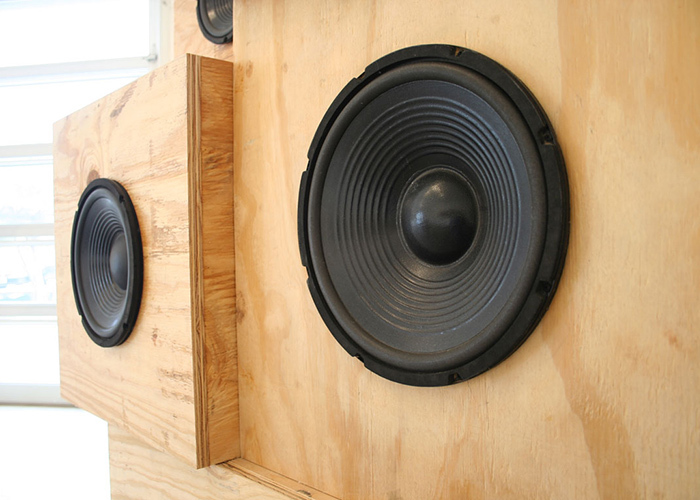 Each sound is dependent upon one or more of the others. The machine performs five choreographed parts repeatedly. 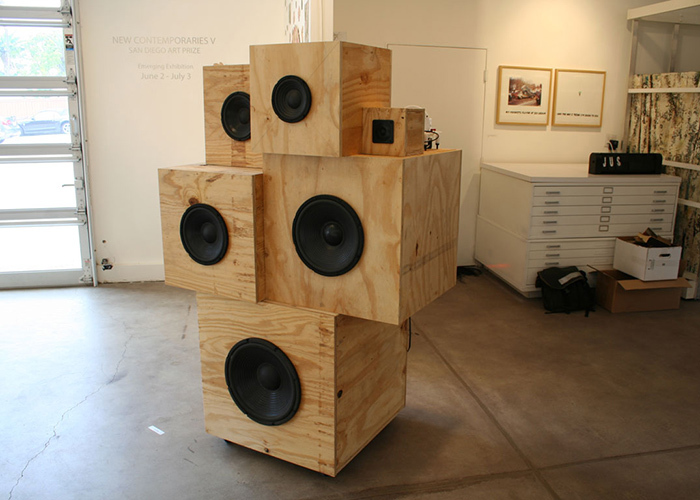 This object was shown at the Susan Street Gallery in Solana Beach as part of New Contemporaries V, the San Diego ART PRIZE emerging artist’s exhibition.